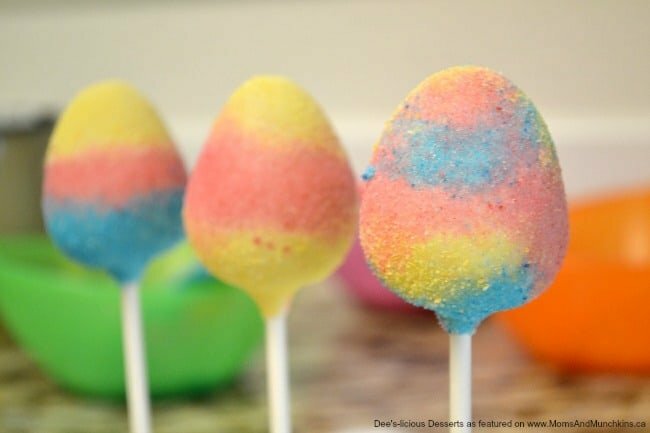 This Easter Egg Cake Pops tutorial is courtesy of our contributor Deanna…When I first started my business Dee’s-licious Desserts, Easter was the first holiday I made cake pops for. 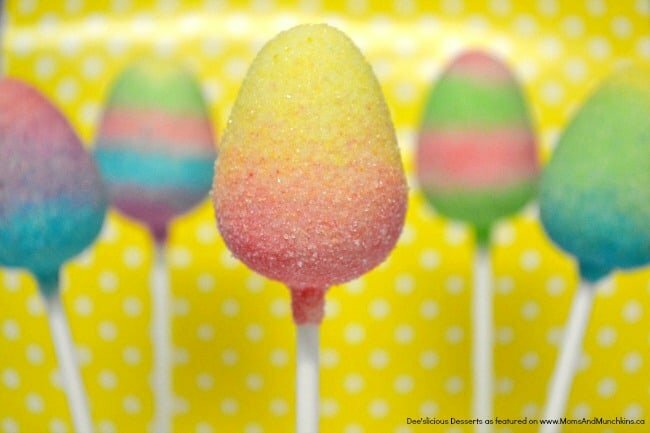 These cake pops were the ones that put me on the map. My customers were so amazed at how beautiful they were, and I giggled at all the compliments because they are seriously the easiest cake pops I have ever made. 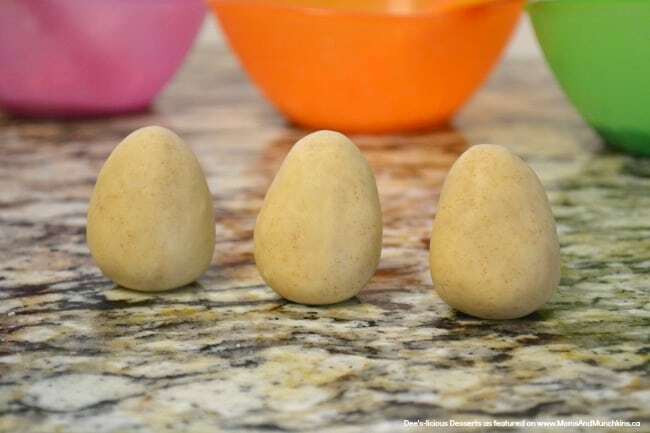 They look adorable in Easter baskets, or make a quick and easy treat for the coming up Easter play dates and parties. 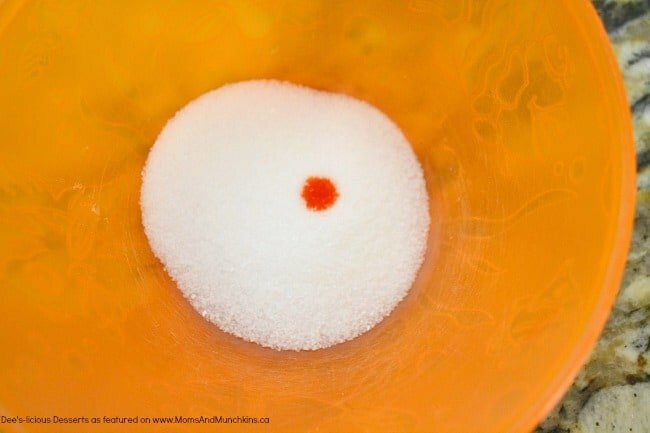 First, divide up your sugar into each bowl. I only used 3 colors for this tutorial, but normally I use 6. Purple, Pink, Blue, Green, Orange, and Yellow. 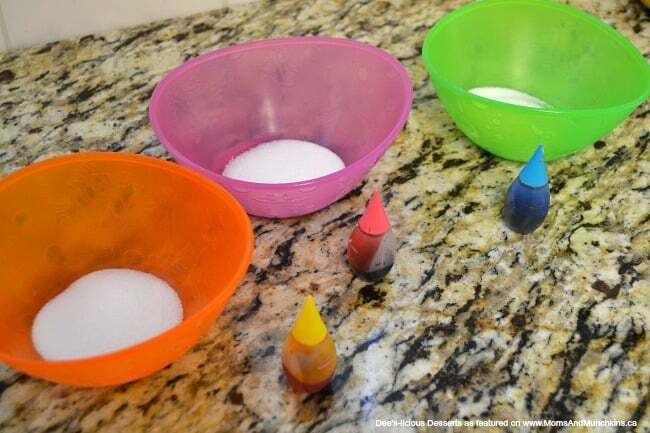 Put ONE drop of your liquid food coloring for 1/4 cup of sugar. 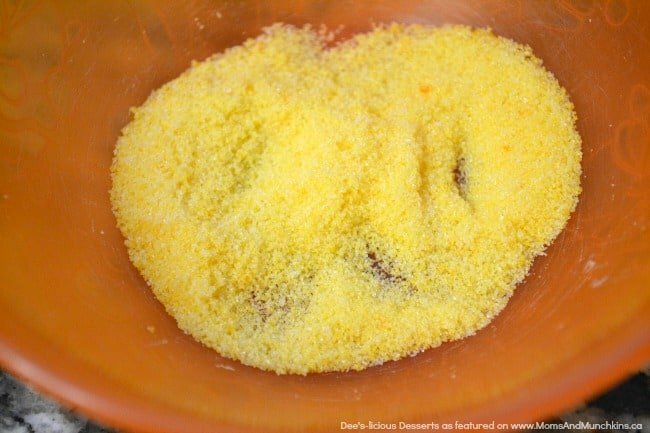 Mix well until all your sugar is colored and no lumps of food coloring remain. Set aside. You might have to stir these again before decorating to break up the sugar. 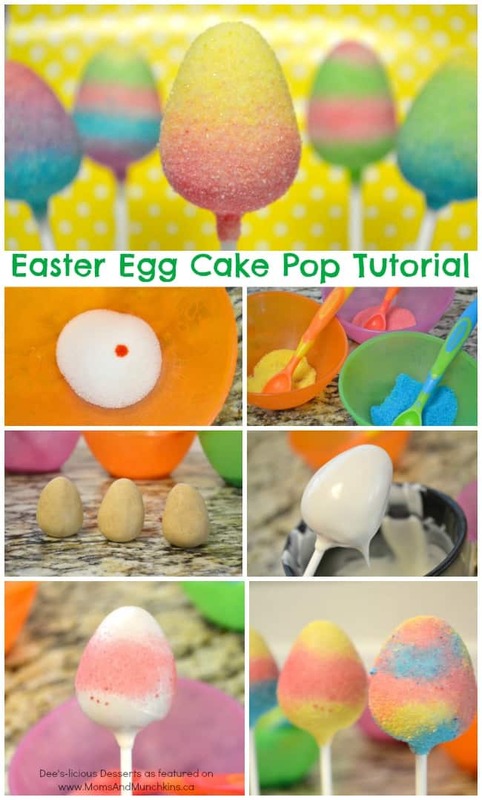 Form your cake pop dough into an egg. 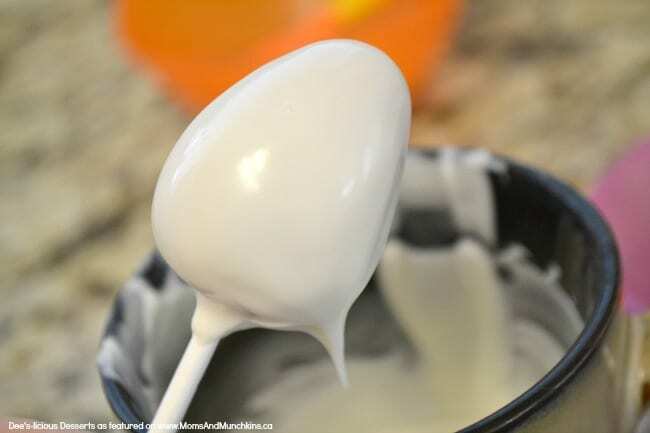 Dip your stick into the melted white chocolate and place it into the wide end of the egg. Let that chocolate harden. 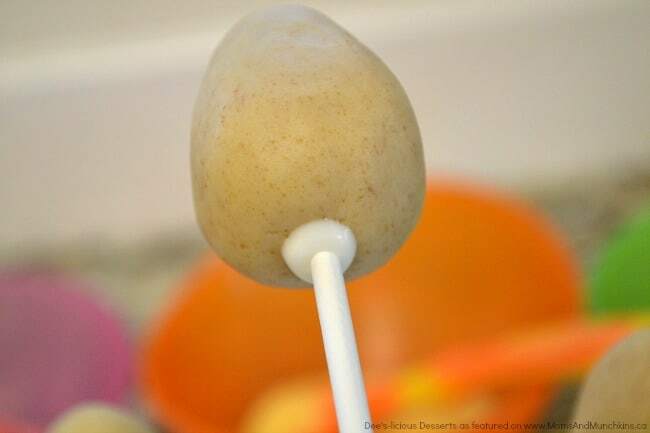 Dip your entire cake pop egg into the white chocolate and tap off any excess chocolate. Moving quickly, design your Easter eggs. 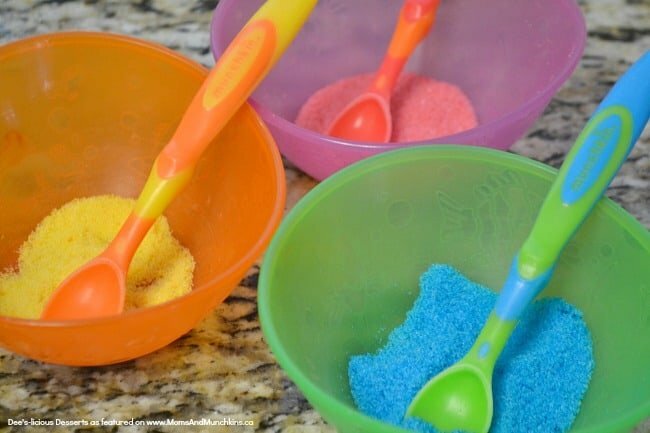 Using your spoon, sprinkle on your colored sugar. You can do stripes, solid colors, or even just sprinkle on in random places. 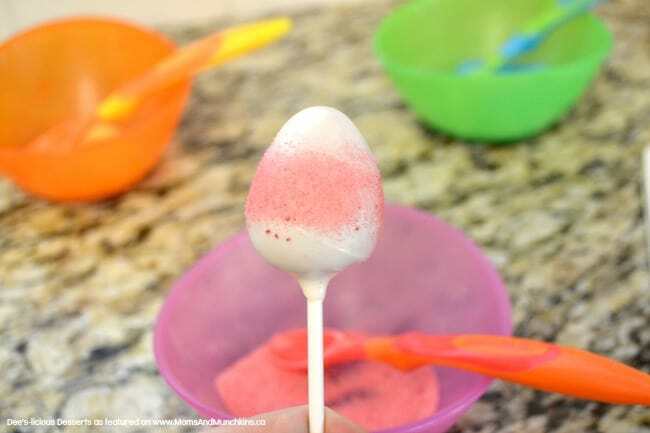 Place in cake pop stand and let dry. Each egg is going to be so unique, and it’s near impossible to mess these up. Not to mention you didn’t have to spend a fortune buying sprinkles in every color! Hope you all have a Hoppy Easter! For more adorable cake pop creations, follow Deanna’s Facebook page Dee’s-licious Desserts. 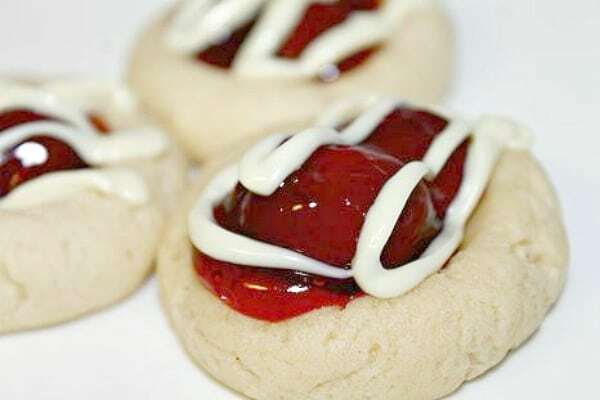 She also has a blog, Deanna’s Kitchen, with delicious recipe ideas you’re sure to drool over like these Cherry Pie Cookies! 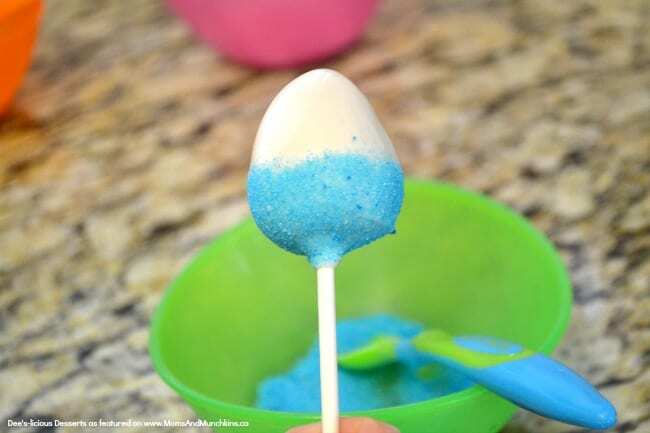 Can you point me to the cake pop recipe used for this? They look so much smoother than others I have used before.